Launched into the market in 2006, Nunu is a quality milk product specifically formulated for the nutritional wellbeing of children. It contains 9 key vitamins and minerals that support brain and body development in kids. Over the years, it has come to establish considerable equity in the marketplace and is available in powder and evaporated milk formats. Nunu aims to be a support system for mums by providing hands-on resources to help them support their kids. Nunu milk is endorsed by the Nutrition Society of Nigeria (NSN) which is the foremost nutrition association established to promote, advance and disseminate the scientific knowledge of food and nutrition in Nigeria. The endorsement is a further validation that the product claims are based on verifiable proofs and testament to the highly beneficial nutrients of Nunu milk which is the only kid specialist milk fortified to help kids Grow Every Day. Nunu milk will continually work with Nutrition Society of Nigeria (NSN) to ensure that we remain consistent with quality and the basic requirement for development and growth. Nunu will continue to drive a culture of good and proper nutrition for mothers and their growing children to help them Grow Every Day. To find out the importance of milk and dairy visit our milk matters page. 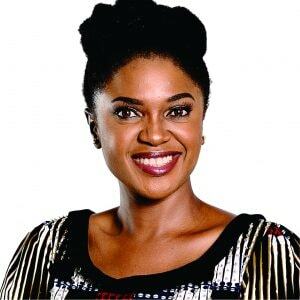 Omoni Oboli is an actress, scriptwriter, producer and the Brand Ambassador for Nunu. She has worked on countless blockbuster movies and is a renowned filmmaker in Nigeria. She joined the PZ Consumer family in November 2015 as a brand ambassador and has played a major role in the success of the Nunu Grow Every Day and Smart Growth campaigns. Read more about Omoni and the work she’s done with Nunu in our Smart Mums section.